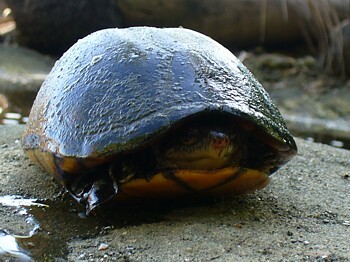 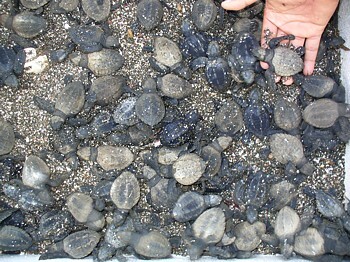 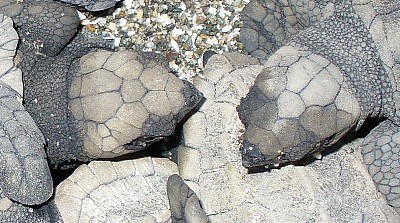 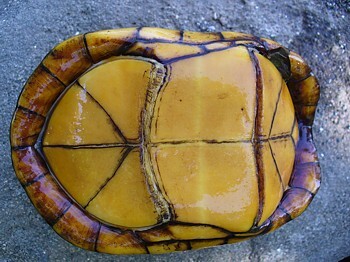 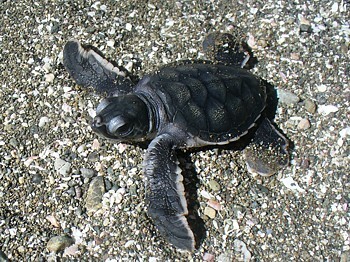 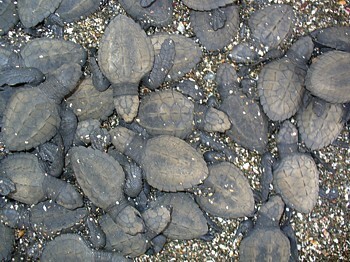 In October of 2006 we started collecting turtle eggs for incubation. 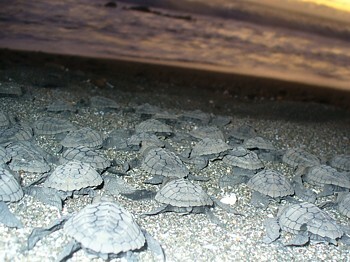 We collected about 285 eggs and released 257 baby turtles.They all safely made their way to the ocean. 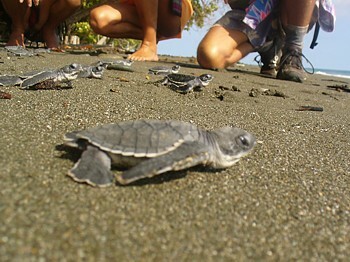 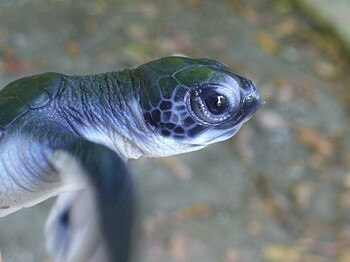 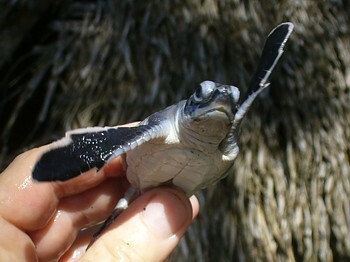 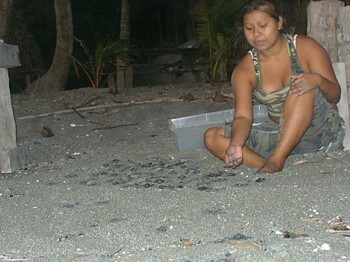 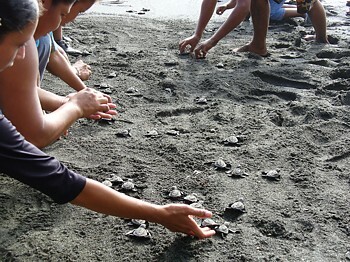 Every time we would release a group of turtles, we would notify the town (a 45 min. 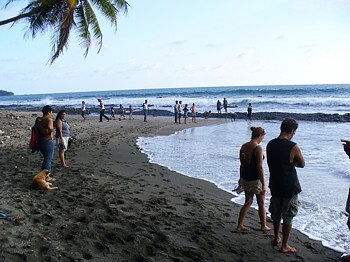 walk from Tigre Salvaje) and 25 to 30 adults and children would come to watch and help the turtles find their way to the sea. 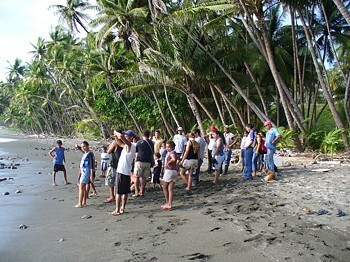 The influence this experience could have on a young mind is hard to calculate. 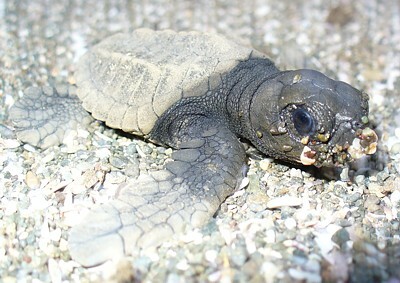 It is customary to eat the eggs but no one had ever seen a baby turtle before. 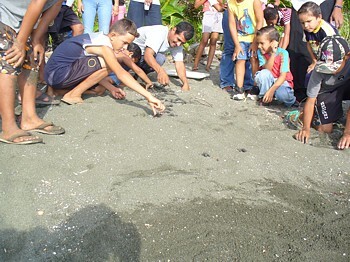 Our goal this year was to release 2,000 babies but with the help of the students and the volunteers we now have hopes of releasing an even larger number. 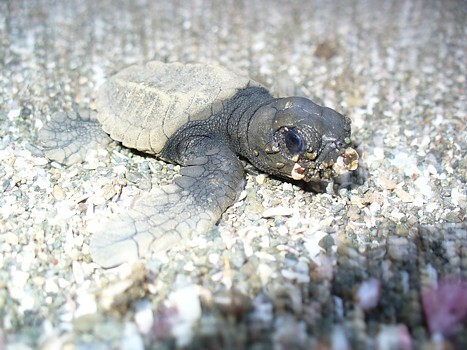 Due to the amount of turtle egg hunters, who not only sell the eggs but also the meat of the mother turtles, and the amount of dogs who roam the beaches in search of turtles and their nests, there are now very few nesting turtles left on Punta Burica. 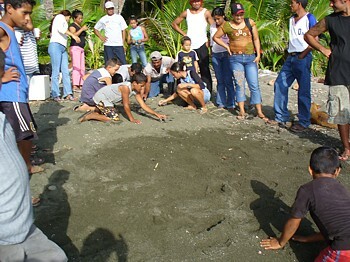 Because of the amount of perdation, Tigre Salvaje volunteers have begun a program to purchase the eggs from the hunters before they go to market. 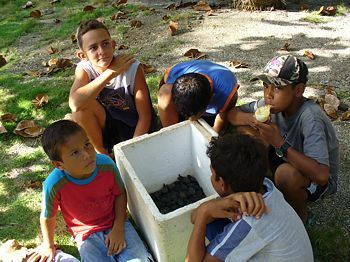 I have promised to help the children build an incubator near the school of Bella Vista. 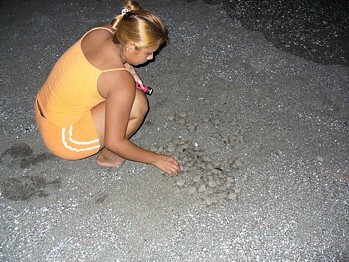 We will also have a class on how to move and care for the eggs. 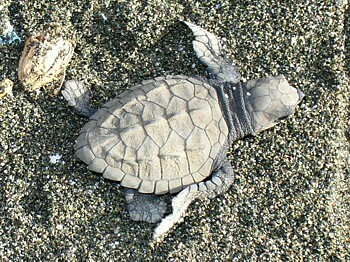 The children (and adults) will keep records of where, when, how many, temp of sand, how many days to hatch, etc.